"I am mentally ill. I can say that. I am not ashamed of that," Carrie Fisher said on ABC News. Carrie Fisher was an actress best known for her role as Princess, and later, General Leia Organa in the Star Wars franchise. When not appearing on the big screen, she also worked as a script doctor and novelist who wrote several books based upon her experiences with bipolar disorder. As a star who lived with mental illness, she spoke out openly and humorously about her experiences with mental illness and addiction, bringing the topic to the public eye. 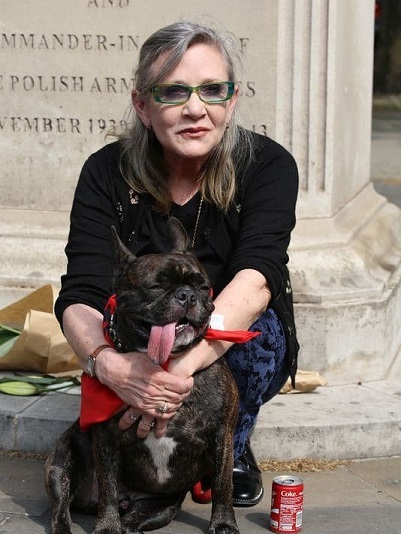 Fisher, renowned for her role in Star Wars, is an inspiration to mentally ill people and addicts due to her successful recovery from addiction and her work to normalize and destigmatize mental illnesses such as bipolar disorder. Born October 21st, 1956, Carrie Fisher was daughter to America's sweetheart couple of the 1950's, Debbie Reynolds and Eddie Fisher. At age 15, she played in the Broadway musical "Irene," along with her mother, the star of the musical, Debbie Reynolds. At 17, she made her first appearance on the big screen in "Shampoo," a satire of Nixon-era politics and the Los Angeles culture of the time, by Hal Ashby (Itzkoff). In her 20's she began experimenting with drugs, taking LSD by the time she was 21, and combining that with cocaine through her 20's. 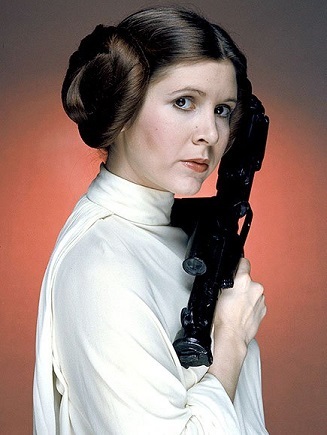 At the same time, she was cast as Princess Leia Organa in Star Wars: Episode IV - A New Hope at age 21. A few years after, she was first diagnosed with bipolar disorder at age 24, though she refused to accept the diagnosis (Johnson). For a long time, she was addicted to Percodan, which is a mixture of aspirin and oxycodone and used to treat mild to severe pain. In 1985, however, after a filming of "Hannah and Her Sisters," she had to have her stomach pumped after a nearly fatal overdose ("Carrie Fisher" ). In late 1990, Carrie Fisher was once again in the Hollywood spotlight with the release of Postcards from the Edge, a film adapted from her book of the same title. In the same year, her second novel Surrender the Pink, was published ("Carrie Fisher" ). Between 1990 and 2015, she acted in 24 roles in movies of all genres, including titles such as Austin Powers: International Man of Mystery, Scream 3, and Wishful Drinking. The last of which was a documentary based upon an autobiographical novel of the same title. During this time period, she also published four more novels; Delusions of Grandma (1993), The Best Awful There Is (2004), Wishful Drinking (2008), and Shockaholic (2011) (McClurg). In 2015, she was brought back to her old role as an aged General Leia Organa in Star Wars: The Force Awakens, and in 2016 she starred in a documentary entitled Bright Lights: Starring Carrie Fisher and Debbie Reynolds as well as provided her voice for Rogue One: A Star Wars Story. November of 2016 also marked the release of her memoir The Princess Diarist, which was based on the diaries she kept around the time she starred in the 1977 Star Wars. Unfortunately, the end of 2016 also marked the end of her life, as she passed away on December 27th, 2016, after suffering from a heart attack while on a flight from London to Los Angeles. This year, however, the posthumous release of Star Wars: The Last Jedi will feature her in her final role as General Leia Organa, once again. Carrie Fisher is an inspiration because, as a young adult, she recovered from her addiction to Percodan. In an interview with Elizabeth Johnson, she revealed her past experiences with drug abuse "I smoked pot first when I was 13, but I really didn't get heavily into that. I never could take alcohol... So I didn't do other kinds of drugs until I was about 20. Then, by the time I was 21 it was LSD. I didn't love cocaine, but I wanted to feel any way other than the way I did, so I'd do anything." Carrie Fisher was open and upfront about her past of substance abuse and addiction, going so far as to list the sort of drugs she used before her diagnosis with bipolar disorder. She also gives insight to the reason behind why she took them, the need to feel 'anywhere but where she was.' Understanding and listening to reasons like these that people have for abusing drugs and becoming addicted is one of the many steps to being able to fully address the issues that help contribute to an individual's addiction. When the reasons behind the action and abuse are understood, then the process to recovery can begin; "Fisher's life reached a crisis in 1985 when she came close to overdosing... 'I always wanted to blunt and blur what was painful. My idea was pain reduction and mind expansion, but I ended up with mind reduction and pain expansion,' she explained in a Time profile. She then committed herself to a one-month detoxification program and continued outpatient and group counseling" ("Carrie Fisher"). Carrie Fisher, while still having reached the point of nearly overdosing on Percodan, decided that, after that experience, she had wanted to get better and improve. To reach out and get outside help from someone for addiction or mental illness is a scary thing to do, even after such a significant event, yet Fisher had the bravery to pursue recovery and get help. To go through with recovery, as well, takes a tremendous amount of personal strength, as the symptoms of withdrawal often chase many addicts back to their drug. Yet Fisher remained strong and refused to fall back on Percodan and LSD. Through a combination of great courage and astounding personal strength, Carrie Fisher recovered successfully from her addiction to drugs. As well as being successful in recovery, Carrie Fisher worked as a mental health advocate, with a goal to understand her own mental illness and bring awareness and acceptance of mental illness to the public. In an interview with Elizabeth Johnson, when asked about her bipolar disorder she said; "It was bad. I hadn't had that in a long time. I think I screwed up on my medications, and I stopped sleeping, and I couldn't stop talking or writing. I haven't looked at the film of me on stage, but I think it's probably borderline sane-crazy. I put myself in a psych hospital after that." Many people are not aware of the symptoms and effects of mental illness, and by speaking about her experiences living with her bipolar disorder, Carrie Fisher brought to public eye a few of the ways mental illnesses can manifest. The more that is known about mental illness, especially to the public, the more they will become accepted and recognized as illnesses of the brain, rather than personality flaws. Understanding mental illness and their effects will lead to better understanding of others and a more compassionate society, when it comes to helping those who live with mental illnesses. In being open about her bipolar disorder, Fisher often spoke about it in humor, though when asked why, she explained: "'That's my way of surviving, to abstract it into something that's funny and not dangerous," she told People. "It is not an entertainment. I'm not going to stop writing about it, but I have to understand it'" (Guerra). While many people believe it is insensitive and impolite to joke about mental illness, it is another matter completely when you are someone who actually suffers from it. Using humor to cope with mental illness, helps to normalize and even helps those suffering from it even survive. Humor from people who suffer from mental illness is not meant to entertain, but to normalize, and it is through this that Carrie Fisher's humor in her mental illness helped to destigmatize her bipolar disorder and help people understand it, as well as her, better. Finally, when asked what it was like to plan her life and career around her mental illness, Fisher responded with: "I don't. You cross your fingers and hope you don't get gobsmacked by it in the middle of something" (Johnson). Carrie Fisher is an inspiration to me as a person living with my own mental illness. Her, albeit odd, sense of humor and direct way of talking about both her mental illnesses and past with drugs resonates with me in a way few other things have. Few people, especially well-known celebrities, are willing to be as open and public with their mental illnesses, and even fewer will be less than completely serious about them. However, mental illnesses affects our very brains, and therefore our everyday life. To be open and have humor about something that affects those who suffer from it to the very core is an admirable quality to me, as it is a way to cope with and live with mental illness. To those who do not have to live with mental illness, it may seem rude or insensitive to have humor about it all. However, for people living with mental illness it is simply a case of making the best out of a terrible situation. A terrible situation that there is no temporary escape from because it affects the very core of a person's being. Mental illness is inescapable for those who suffer from it, so to have someone like Carrie Fisher be open and have humor about her mental illness, inspires myself and many others to continue living in spite of our own. 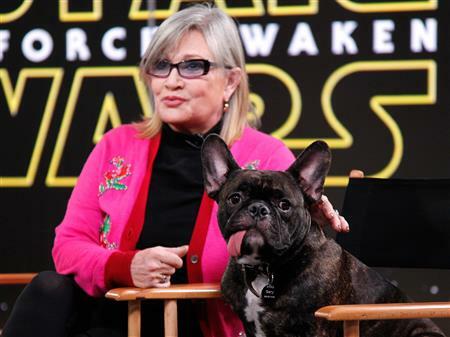 Carrie Fisher''s Official Site - A site about Carrie Fisher, her life, writing, acting, and even her dog, Gary. Carrie Fisher''s IMDB Profile - Her IMDB profile that lists the movies and shows she''''s appeared in. Carrie Fisher''s Twitter - Carrie Fisher''s twitter, where she tweeted about her activities, mental health, travels, and her dog. Wikipedia entry on Carrie Fisher - For more details on her life and other productions she''s been in.